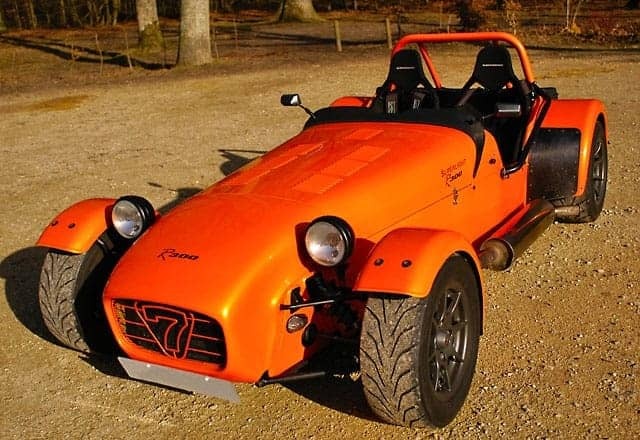 Headquartered in Crawley, Surrey, Caterham Cars manufactures specialist lightweight sports cars constructed of aluminium sheet attached to a tubular steel chassis. Series 1 of the Lotus 7 was launched in 1957 by Colin Chapman and was immediately welcomed as a low-cost, lightweight and successful race car. Lotus 7 dealer Caterham Cars continued the manufacture of the design from 1973. The Lotus/Caterham 7 is widely regarded by car enthusiasts as an iconic sports cars of the 20th century. With nearly 60 years of continuous production, it still enjoys strong support amongst driving enthusiasts despite a lack of driving comfort!